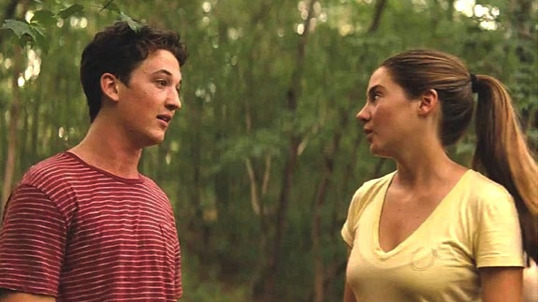 The Spectacular Now is a challenging movie and one you should seek out. I’ve been trying to reconcile my feelings about it for a while. It’s centered on one of the most frustrating lead characters I can remember seeing in a movie. The movie wisely presents him as is and lets you decide. I’ve seen the movie twice and I still can’t. This is one of the movie’s strengths. 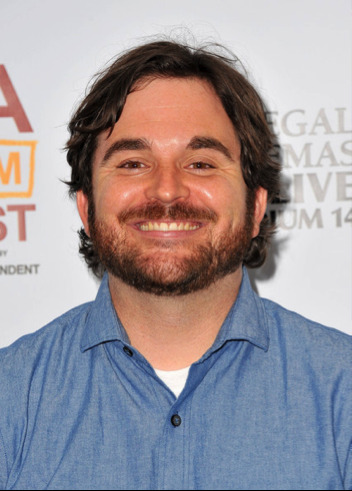 The lead character, Sutter Keely, is complex -- very charming and well-intentioned, but also a bad influence and a reckless alcoholic. He’s matched by the movie’s other lead character, Aimee Finecky, who is not the normal girl-next-door that has it all figured out. She has a good heart, but also a startling naiveté. The two make a terrific movie couple; the performances by Miles Teller and Shailene Woodley are superb and there are very few false notes in their naturalistic exchanges. The Spectacular Now reminded me of great romantic dramas like Say Anything... and All the Real Girls. 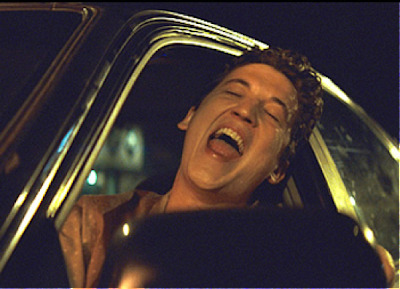 The plot in brief: High school senior Sutter Keely (Miles Teller) is the fun-loving smooth talker of his class, but his friends are as much charmed by his antics as they they are tired of them. Nursing the wounds of a recent dumping from his popular girlfriend (Brie Larson), Sutter finds himself building a friendship and romantic relationship with Aimee Finecky (Shailene Woodley), a nice girl whose passiveness has made her somewhat of a wallflower at her high school. The relationship is both empowering and damaging for both parties and drudges up clues about how both characters got to be the way they are. 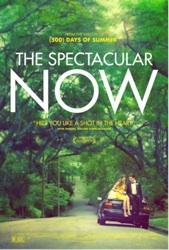 The Spectacular Now is by no means a great movie, but it has elements of perfection. Every moment between Teller and Woodley is wonderful, especially the scene in the woods before they share their first kiss, which is one of the best scenes in any movie this year. It’s so sweet and well-observed. It feels like you’re eavesdropping on two people sharing a spontaneous moment (down to the director’s authentic touches like crickets chirping in the background) rather than a construct of a screenwriter. The two leads share an easy chemistry, and I love how director James Ponsoldt handles their relationship. Sutter genuinely likes Aimee, but (as the title suggests) is not considering the long-term effects of his behavior around her. Aimee, on the other hand, falls hard and is shown to be a bit too trusting for her own good. But it’s not all bad. Both characters grow in positive ways from being around one another. The relationship is interesting and complex. This might be Sutter’s movie, but Aimee is the heart and soul. She’s the one that I wanted to protect like a little sister. I give all kinds of credit to Shailene Woodley for her performance which is warm, childlike, sweet and somewhat startling. It’s completely different from her performance in The Descendants and shows off her range. I look forward to seeing her in future movies not involving Spider-Man. Sutter is more of a question mark, though at no fault of the actor. Miles Teller is terrific in this movie. It’s interesting casting because Teller has played fun-loving teen drinkers in movies like Project X and 21 and Over and his performance in The Spectacular Now is almost like an explanation for those previous roles in the same way Punch-Drunk Love shed light on the seething anger beneath the early comedic performances from Adam Sandler. Sutter is such an enigma because the movie asks: How much do you want to empathize with a destructive personality who is not above dragging others down with him? Do you want to see this person redeemed or not? At times I morally objected to Sutter’s actions and didn’t care about his redemption. But in retrospect, I’m not so sure anymore. While still not approving, I’m more willing to forgive his character. In a Q&A I saw after the movie, Ponsoldt described Sutter as Ferris Bueller when he has no one around to perform for or the type of man-child character Vince Vaughn plays; in the long-term, that kind of guy would have a sad, awful life and become a burden to those around him. All of that sounds about right and provides helpful context. When we go away from Sutter and Aimee to focus on some of the supporting characters, the movie runs into trouble. Jennifer Jason Leigh has little to do as Sutter’s mom and is on hand for the movie’s worst scene near the end. I won’t go into details to avoid spoilers, but the ending basically steals its resolution from another VERY POPULAR coming of age story. And, let me know what you guys think of Kyle Chandler in this movie. It’s either a great performance or a terrible one. I can’t tell. What I’m left with, though, are the positives. While not all of it works, I still have a great amount of affection for The Spectacular Now, especially Sutter and Aimee. I think I could come back to this movie more in the future, as it improved for me on a second viewing. Part of the reason is that I recognize the characters from both myself and people I have known (or dated) at different times in my life. The Spectacular Now is said to be heavily influenced by the events of James Ponsoldt’s teen years, and that personal attention comes through without becoming saccharine or cynical. My brain might not be entirely on board with The Spectacular Now, but my heart sure is. Finally saw this. Good call on the ending. I just came from seeing this too and loved most of it (and I hated "500 Days of Summer" so that's saying something). The chemistry between Miles Teller and Shailene Woodley is the real deal, not a false note or moment when these two are together. I haven't screamed/jumped in my seat as loudly in a movie as when you-know-what happens to Aimee out of nowhere. Kyle Chandler doesn't give a bad performance as much as does the best he can with a thankless two-dimensional role (he's really in only three scenes, two of which are very short) but yep, the man has done better work. My take on the movie is a little different though. I think since this is Sutter's movie (everything happens from his POV and no other character is allowed to have a moment/scene on their own) that his slightly-buzzed, alcohol-fueled perception of the world around him informs his decisions and actions. Basically, whether it's Aimee looking/being glorious or Marcus getting advice from Sutter about how the former should handle the latter's ex-girlfriend (I really liked that scene), it's a distorted-reality view of Sutter's life as he perceives it in his almost perpetual state of drunken stupor. Gotta say, for what appears to be a romantic teen movie, this is one of the most acutely observed movies about alcoholism (those that drink but also friends and loved one's that tolerate or confront the vice) that doesn't actually spell or says that it is about alcoholism. The closest character that does that is Bob Odenkirk's Dan when he offers Sutter a choice to remain working or not.